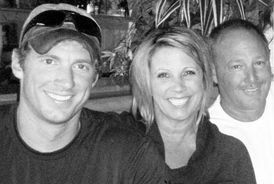 Billy and Karen Vaughn are the parents of fallen Navy SEAL, Aaron Carson Vaughn (SEAL Team VI). On August 6, 2011 Aaron was killed in action in the Tangi River Valley of Afghanistan when a chopper (call sign Extortion 17) carrying thirty Americans was shot from the sky. Donald Trump is what he is. He is still the man he was before the election. And without guilt, I very much admire what that salty sailor is accomplishing.